The Echo Show is not just Amazon’s best smart speaker, it’s the most capable mainstream smart home assistant on the market. 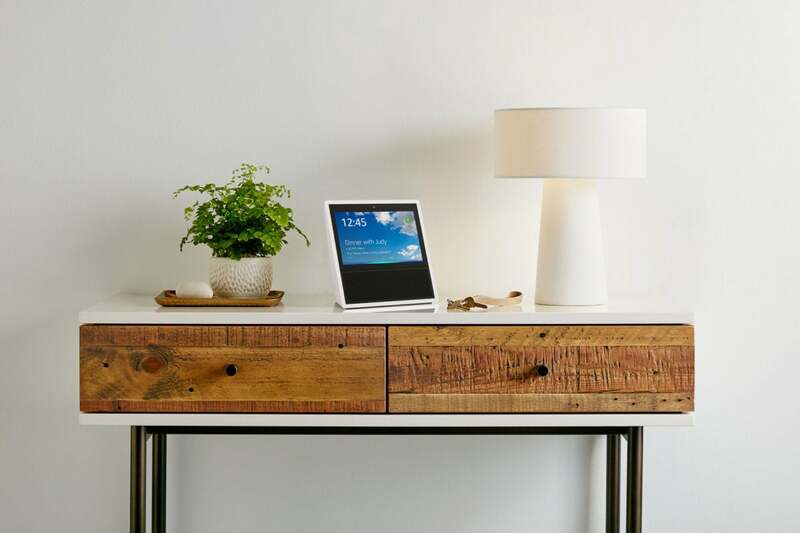 An Intel Atom x5-Z8350 processor and a 7-inch color touchscreen pumps its price tag up to $230, but the display is worth the added cost to have at least one in a smart home with other Echo speakers. And the Show’s eight-element far-field mic array is stronger than the ones on Amazon’s other Echos, which for me eliminated the need to have an Echo Dot in an adjoining room. Amazon takes full advantage of that display, providing not just useful visual feedback, but also an in-home intercom—with video, if two Echo Shows are used—and a VoIP-type videophone system. I’ll elaborate on the intercom feature shortly. 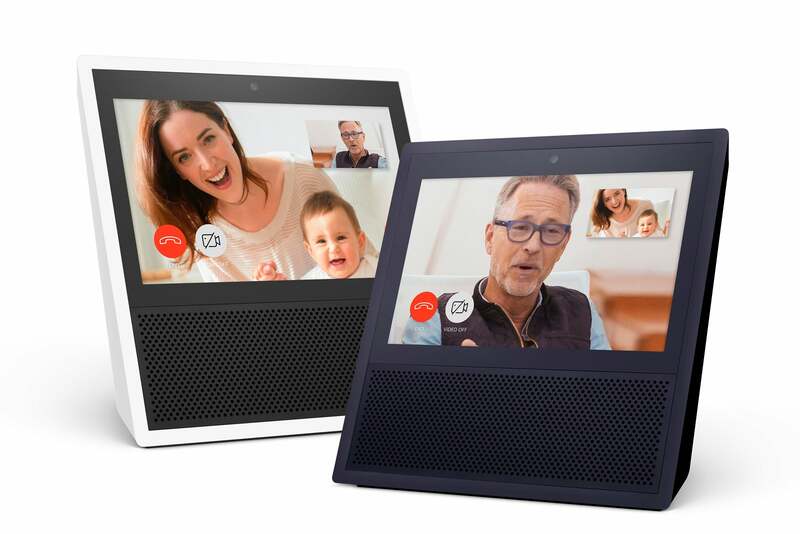 The videophone service is a great way for families to stay in touch—especially grandparents who live far from their grandchildren—but video requires both parties to have Echo Shows (you can make voice-only calls between other Echo models). That could be expecting a lot from grandma and grandpa unless they’re tech savvy or you’re willing to set it up for them (a task distance will make doubly difficult). While that limitation takes a lot of the sizzle out of the proposition, it’s not much different than Apple requiring both parties to use an iOS device to make use of Facetime. The Echo's new Drop In feature enables conference calls between two Echos, including video on Echos with displays. Amazon’s new Drop In feature is even more compelling. This enables two Echo devices to operate as a wireless home intercom. You simply say “Alexa, drop in on the Kitchen” (or whatever you’ve named the Echo you want to use) and a two-way communication session will start. With Echo devices that have screens (the Echo Show and, I assume, the new Echo Spot when it ships), you’ll get a two-way video intercom as well as audio. I tried this with a pair of Echo Shows operating on a Linksys Velop-based home network and it worked great. As cool as that is, I can’t say the Echo Show has a fabulous touchscreen. The colors in the digital photos I displayed on it were somewhat muted, its resolution tops out at just 1024x600 pixels, and visual quality suffers when viewed off axis. It is responsive to touch, however, and it will save you from the need to pull out your smartphone to get information such as the current time and weather (accompanied by line drawings depicting the sun, clouds, or rain). Set a timer, and the Show will display a countdown, so you can see at a glance how much time is remaining. Link your calendars to your Alexa account, and the display will scroll through your upcoming appointments. Arrange for an Uber and you’ll get visual updates as to when your ride will arrive. You can also display photos you’ve uploaded to Amazon’s cloud storage service (you can get 5GB of free storage or unlimited photo storage if you’re an Amazon Prime customer). Once you’ve uploaded your photos, you can identify the people in them, organize them into albums, and then ask Alexa to show all your photos of a particular person, photos in a specified album, or photos that were shot during a stated time frame. You can also watch movies and TV shows on Amazon Prime Video, although I don’t imagine many people will want to do that on such a small screen—there’s no video output, so you can’t connect the Show to your big-screen TV. You can request specific titles (“Alexa, show me Transparent,” or even “Alexa, show me Transparent, season one”). The titles, or TV episodes, appear in numbered boxes. To play the title or episode you want to watch, you say “Alexa, play one” or whatever number the box is labeled as. Don't let the absence of a power cord in this picture fool you. The Echo Show does not offer the option of running on battery power. With both music and video, you can use voice commands to play and pause, adjust volume, fast forward and rewind, skip forward and back, and so on. All this worked just fine on two of the Echo Shows I got in for review, but a third unit refused to cooperate—at least not with videos. It would pause for a second or two, and then just go back to streaming as if I’d never interrupted it. I’ve reached out to my Amazon contact about this and will update my review when I get a response. If the manufacturer of your home security camera offers an Alexa skill, you can also view the camera’s video stream on the Echo Show. This feature works with popular cameras from Nest, Logitech, Ring, EZviz, and others. It also works with the security cameras—including the video doorbell—in the Vivint smart home system that I use. It’s so much more convenient to just ask to see what my security cameras can see than it is to pull out my phone and call up an app. There is one caveat, however; if your broadband connect has a slow uplink—as mine does—there can be a bit of a delay between when you ask to see the video feed and when it appears on Show. But I have the same problem when viewing those feeds on my smartphone. It’s no contest: This is Amazon’s best-sounding Echo. It’s the only one that comes close to delivering good sound, and like all other Echos, you can connect any Bluetooth speaker if you find it inadequate. This is the only Echo, however, to not also include a 3.5mm auxiliary output. 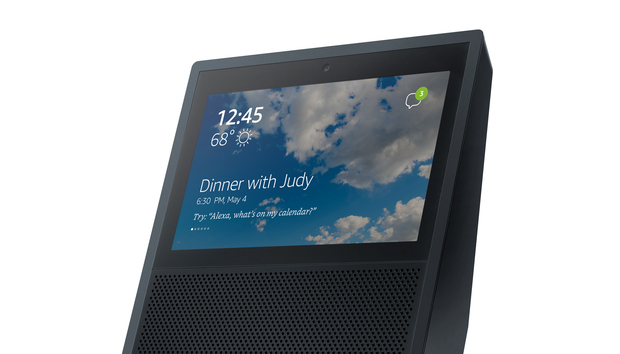 The Echo Show’s bulky design—it’s 3.5 inches deep at its base—allowed Amazon’s engineers to put in a pair of 2.0-inch full-range speakers aided by Dolby DSP algorithms. It’s not an audiophile product by any stretch of the imagination—it would sound even better with discrete woofers and tweeters—and many people won’t want to rely on it alone for music reproduction. But the Show does deliver respectable dynamic range and it can get pretty loud. You can stream music from Amazon Music, Spotify (paid accounts only), iHeartRadio, Pandora, TuneIn, and SiriusXM. But you can’t connect Tidal or Deezer, which offer the option of streaming music encoded in FLAC. Perhaps more importantly, you can’t stream any media from a server on your own network. If you want to stream your own music library, you’ll need to do it over Bluetooth or upload the files to Amazon’s music service. But you’re limited to uploading 250 tracks unless you pay for an Amazon Music storage subscription, in which case the limit increases to 250,000 tracks. 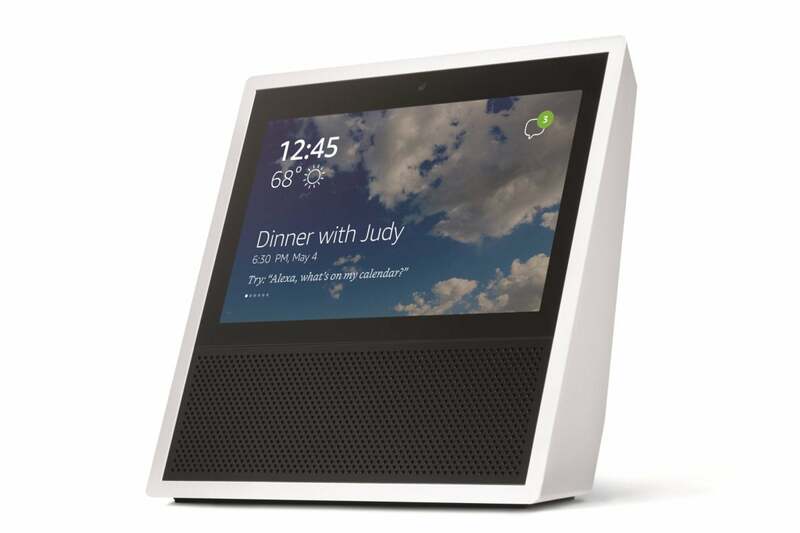 The Amazon Echo Show looks particularly good in white. On the bright side, you’ll be treated to a display of album art with the music, and you can even ask the Show to display the lyrics for the current song. This latter feature, however, seems to be available only with Amazon Music—not Spotify or any of the other services you can link to your account. Priced at $229.99, the Echo Show isn’t exactly cheap. But it delivers plenty of value, and at press time, Amazon was offering a $100 discount to shoppers who buy two at once. This is the first time Amazon has offered a lower price on the Show, however, so that offer might not last. As I found with the very first Echo, once I had one, I wanted multiples—especially for the video intercom feature. And the video calling feature is good enough that my adult kids can look forward to receiving one for the holidays. You’ll doubly appreciate the Echo Show if you have a compatible smart home system. I’ve always liked the idea of having my smart home user interface on my TV—the biggest screen in my house—but the Echo Show lets me have it on multiple screens in my house. This is particularly great for monitoring my home security cameras. I don’t have to go to one room to visually interact with my system, and the Echo Show experience is far superior to pulling out my smartphone. Finally, the Echo Show is the only Echo that I’d remotely consider for a multi-room audio system—I really like the lyrics features and wish it was available with more services. But the Echo Show’s native audio capabilities don’t hold a candle next to my Sonos components, which will soon gain Alexa skills of their own with the launch of the Sonos One. We'll publish our review of that product soon. Bottom line: The Echo Show isn't great at everything, but it will make a fantastic addition to any home.